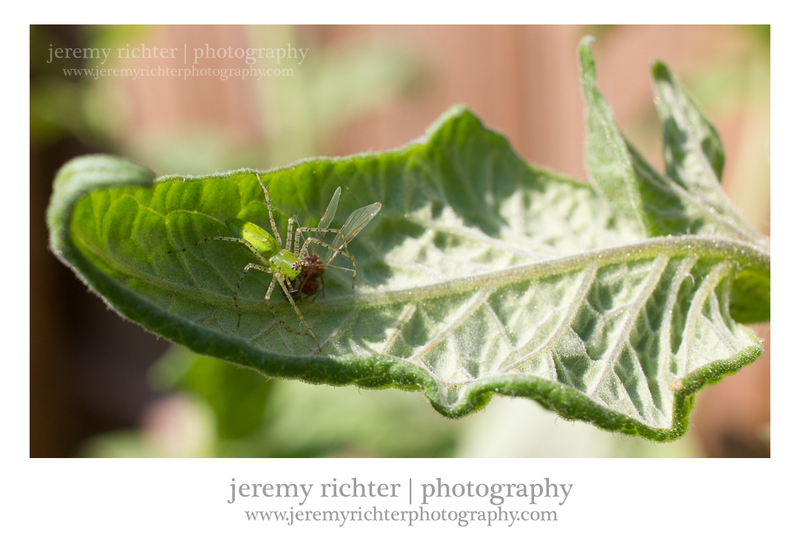 Last year, I encountered a Green Lynx Spider who protected my tomato plants, which I wrote about here. This year another has graced my garden and is standing sentinel...and apparently eating well too. We have a symbiotic relationship - he feeds on fat, juicy little insects, which in turn keeps them from feeding on my fat, juicy little tomatoes.